The original FileFinder software was developed by David Dillistone, himself a retained search consultant. While it was initially created for in-house use, David soon realised that there was a market for it beyond his own firm, and so he created David Dillistone Systems. By the late 1990s, David had retired and the business – now renamed as Dillistone Systems and independent of any ownership or management links to Search firms – was owned by Custom Business Systems. CBS invested heavily in the firm and, by the end of the decade, offices have been established on three continents. In 2003, the current management team undertook a management buyout of the business. The dawn of the Internet meant that it became far easier to serve our clients internationally, and, as a result, Dillistone Systems grew rapidly. In 2006, the group floated on the AIM market of the London Stock Exchange (DSG.L). We’ve been consistently profitable ever since. In 2008, a decision was taken to significantly increase R&D expenditure, and the development of the next generation of FileFinder began. Millions of dollars of investment later, FileFinder 10 was launched in the first quarter of 2011. A unique cinema launch marks the debut of FileFinder Anywhere – the only Executive Search Software available anytime, anywhere via 4 access points – Desktop, Browser, Mobile and Outlook. Increased demand for Browser-based technology leads to the launch of FileFinder Anywhere Essentials – the first and only 100% web-based executive search tool to be developed by a mainstream supplier to the search sector. Today, Dillistone Systems is profitable, debt free and cash generative. 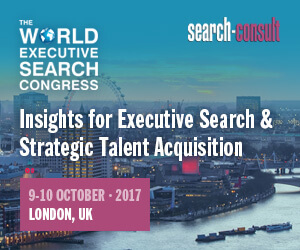 It is proud to work with over 1,600 firms (large and small) in nearly 70 countries, making it the largest dedicated supplier to the Executive Recruiting sector.